Mr. Yasuhiro Ozato, the State Minister of the Environment, received a courtesy call from Mr. Thoriq Ibrahim, the Minister of Environment and Energy, the Republic of Maldives and Mr. Ahmed Khaleel, the Ambassador of the Maldives to Japan. They agreed to strengthen collaboration in co-hosting the 6th Regional 3R Forum in Asia and the Pacific, in which willbe heldthis August. 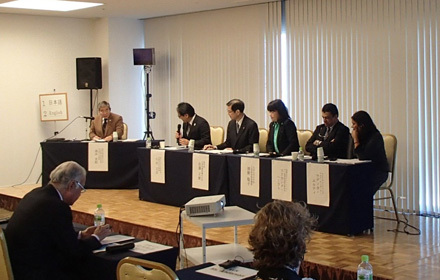 Exchanging views on the waste management and other related issues. They shook hands promising the success of 3R Forum. 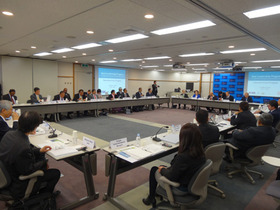 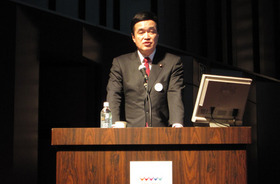 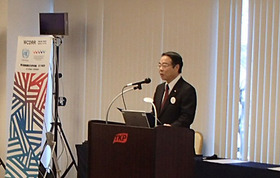 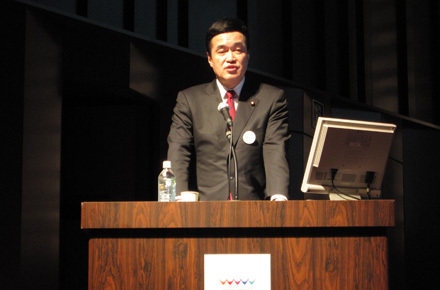 Mr. Yasuhiro Ozato, State Minister of the Environment attended the symposium entitled "Disaster waste management at the time of huge disaster: Preparations and rapid recovery through public-private partnerships," which was relevant to the UN World Conference on Disaster Risk Reduction 2015 titled "About initiatives for disaster waste treatment measures when a massive disaster occurs". 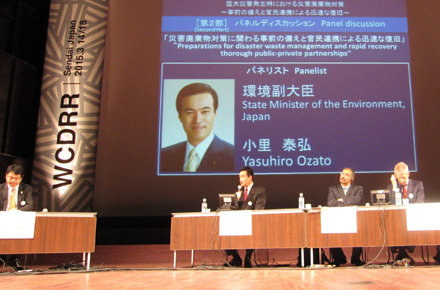 He made a presentation on the disaster waste management in Japan in the keynote lecture and participated in the panel discussion as a panelist. Mr. Yoshio Mochizuki, the Minister of the Environment, attended a side event of the third UN World Conference on Disaster Risk Reduction Public Forum in Sendai, and the side event was co-hosted by the Ministry of the Environment of Japan, the United Nations University Institute for the Advanced Study of Sustainability (UNU-IAS), and the International Union for Conservation of Nature (IUCN) . 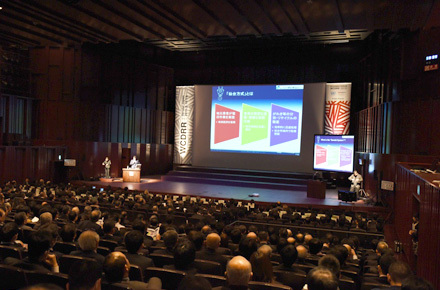 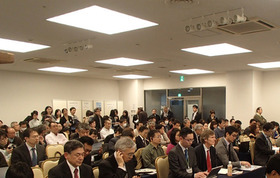 A scene of the event with many participants. 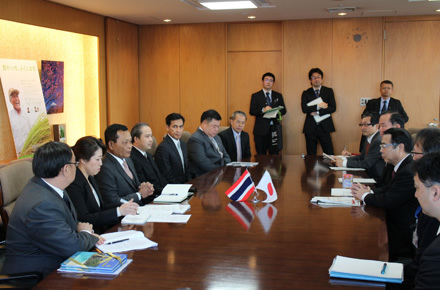 Mr. Yoshio Mochizuki, the Minister of the Environment, received a courtesy call from Mr. Daopong Rattanasuwan, the Minister of Natural Resources and Environment of Thailand. 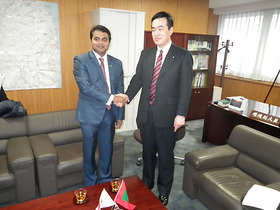 They exchanged views on the management of the World Natural Heritage sites and national parks in both countries. 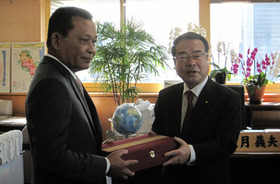 They exchanged gifts from each country. 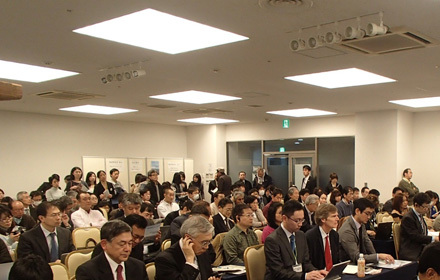 Mr. Shigeo Kitamura, the State Minister of the Environment, attended the ALP 2015 which was co-hosted by the Asian Development Bank (ADB) and the Ministry of the Environment, Japan. 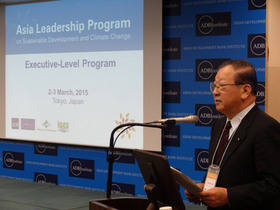 The ALP 2015 is a leadership program that provides leaders in the Asia-Pacific region with opportunities for discussions focusing mainly on the policies, finance and technologies under the theme of sustainable development and climate change.